[266 Pages Report] The crop protection market consists of crop protection chemicals or agrochemicals, seeds, and genetically modified (GM) crops. 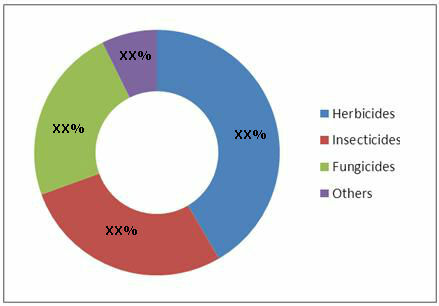 Crop protection chemicals are the most dominating segment of this market in terms of market share as well as product innovations. Crop protection chemicals are further classified as herbicides, insecticides, fungicides, bio-pesticides, and adjuvants. As the latter two segments hold a minor market share, in general practice, pesticides are referred to as crop protection chemicals. The crop protection chemical is a highly regulated market. This report provides a comprehensive outlook on the global and Asia-Pacific crop protection chemicals market with respect to various regions, product types, as well as applications. The Asia-Pacific market for crop protection chemicals, in terms of active ingredient volume was estimated at 636 KT in 2011 and is expected to reach 843.5 KT by 2018. Growth in revenue is expected to be higher than volume, owing to the increasing cost of pesticides. Development and registration of a pesticide active ingredient is one of the biggest components of cost for a pesticide company. Presently, the cost of innovation and registration of an active ingredient is about $200 million, which is a 25% increase from 2000. A number of countries in the region are expected to show strong growth. Especially China, Indonesia, and Thailand are expected to grow rapidly in the agricultural output. This in turn is expected to boost the growth for crop protection chemicals in the Asia-Pacific region. Bayer CropScience (Germany), BASF (Germany), and Dow AgroSciences (U.S.) are the major crop protection chemical suppliers in the region.